Search Chicago condos for sale using our comprehensive downtown building directory. Every month we feature one of our newest luxury listings to hit the market. Check out this month's hottest downtown property. Already familiar with some of Chicago's hottest places to live? Then only search listings in certain downtown neighborhoods! Together, Helaine and Sam welcome you to Chicago Condo Finder, the very best destination for the city’s condo buyers and sellers looking to make the most of their opportunities in the current, ever-evolving market. We are confident you’ll appreciate the extensive market and building knowledge, neighborhood insights and dynamic marketing plans that capitalize on the latest tech tools and provide prime exposure to serve the needs of CCF buyers and sellers. Helaine Cohen, a top producing Chicago broker, married her experience in Technology and Marketing with her passion for Chicago’s residential real estate market and launched ChicagoCondoFinder.com. 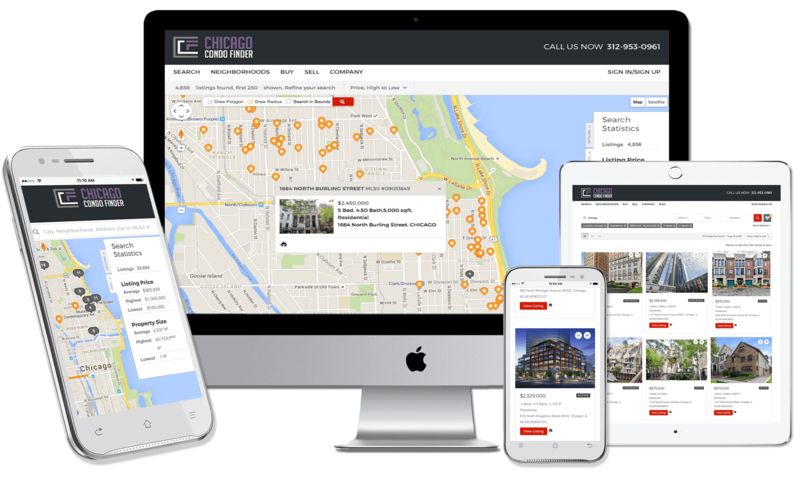 Continually upgraded and enhanced, the site offers advanced search technology making it easy for consumers to search all active and sold MLS real estate listings of homes and condos for sale in Chicago. She also created a team of professionals to employ her successful approach and provide guidance and exceptional service to clients. 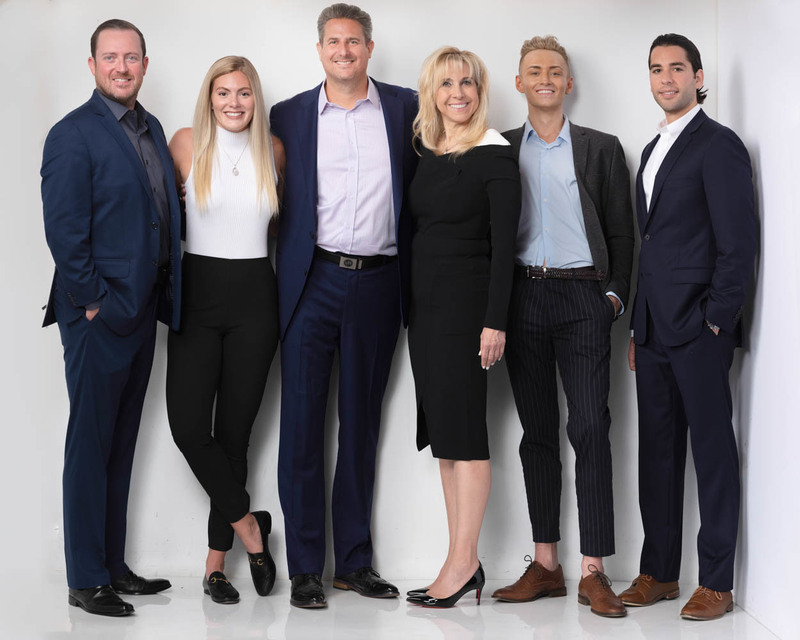 In 2018, Helaine partnered with Sam Tarara to build and grow the Chicago Condo Finder team and further expand its offerings. Sam’s award-winning 18-year residential real estate career includes expertise in high-level brokerage management, residential development, condo conversion and property management. With his honest and straight-forward approach, Sam has a proven track record of building successful relationships, teams, brands and putting the right people together to make things happen. Abundant repeat and referral business speaks volumes about the CCF client experience. So please, have a look around, and contact us or call 312-953-0961 with any questions. Enjoy! 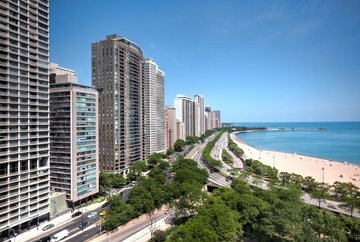 Chicago condos for sale, our website uses the latest Internet technology to bring up-to-date listings of Chicago condominiums, lofts, and homes for sale in the city's most prestigious neighborhoods and buildings. 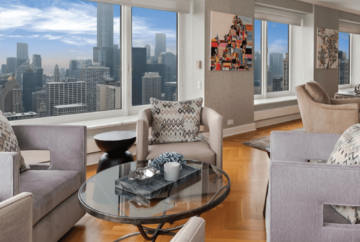 Whether you are looking for a Chicago condo for rent or sale, to browse Chicago lofts for sale, or even to find condos in top buildings such as Trump Towers Condos for Sale, Lincoln Park Condos or Aqua Condos - Chicago Condo Finder is your one-stop shop for the latest listings. Reach out to our friendly agents for expert help and guidance! Our site also features the latest market stats on Chicago real estate for sale, which allow you to research current trends in listing prices and inventory absorption. 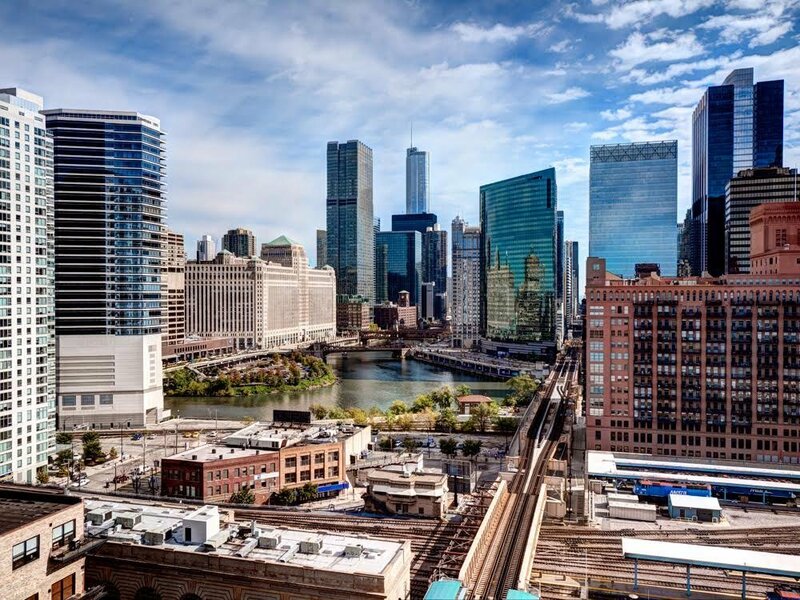 Popular neighborhood searches are “downtown Chicago condos for sale” as well as “South Loop Condos for sale” and “River North Condos for sale”. But whatever neighborhood in Chicago is on your desired real estate list for your next condominium, be assured that our site has the most up-to-date real estate listings and the most comprehensive real estate information available on Chicago. Not that familiar with the Gold Coast, Streeterville, or the Loop? Just looking for an amazing downtown Chicago loft or condo? Browse our listings or reach out to talk with a real estate agent. Our condo directory allows you to easily view listings and amenity information for the most sought after developments in Chicago. Whether you are looking for a hip and trendy loft, an architectural icon, or a dog-friendly abode, you can find buildings here to suit any lifestyle. Learn more about buying or selling real estate in Chicago, or try our advanced Chicago MLS® search to to view the latest lofts, condos, single family homes, or rental properties that match your specific criteria. Our state-of-the-art website is updated every 15 minutes, ensuring you get the most reliable information available! Our easy-to-use search functionality allows you to set specific criteria in a variety of ways, to make your search as efficient and simple as possible. You search our up-to-date MLS® listings for Chicago homes by property type, address, zip code, MLS number, and more. You can also use our comprehensive building directory to view condominium listings by neighborhood and price range. Whether you’re in the market for a luxury high-rise condo or a modern loft in one of Chicago's many trendy neighborhoods, look no further because ChicagoCondoFinder.com has everything you need to find the perfect home. Interested in jump-starting your search for Chicago condominiums or homes? Our complimentary account offers an intuitive interface to help you tailor your experience. Select the parameters that define your dream home, then enjoy updates whenever properties matching your preferences are listed. Register now! 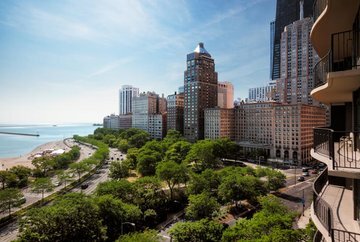 As the third largest city in the U.S., Chicago's condominium market offers an excellent variety of layout, design, amenities and finishes. In fact, some of the developments here are world famous, like Trump Towers or the Palmolive Building. Others offer unabashed luxury such as The Four Seasons, The Waldorf Astoria and The Ritz-Carlton. These properties are unparalleled in sophistication and style, setting the hallmark for luxurious living across the entire country. Chicago condos are also diverse, with comfortable properties existing in every part of town. 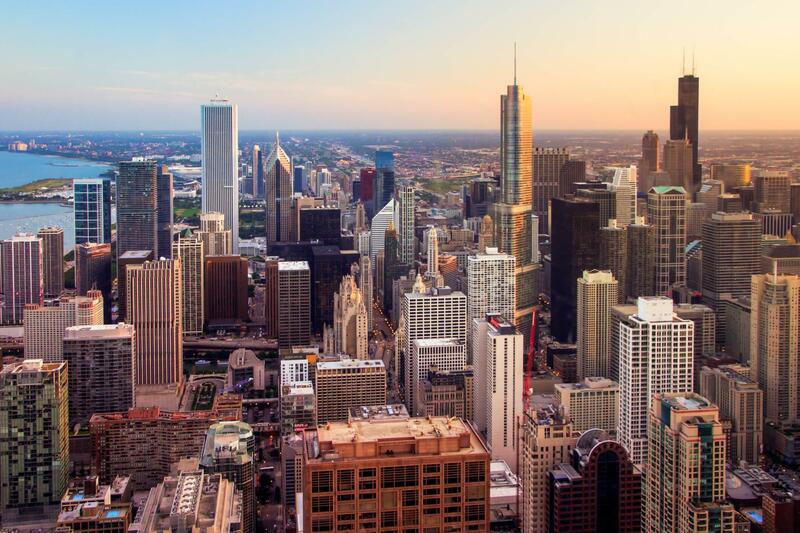 From the prestigious Gold Coast to the famous Magnificent Mile, to lofts in River North and newer high rise buildings such as Aqua, and 340 Randolph in Lakeshore East, there is real estate here to satisfy the needs of anyone. For more information on buying or selling your home in Chicago, contact Helaine Cohen, the Chicago real estate expert!